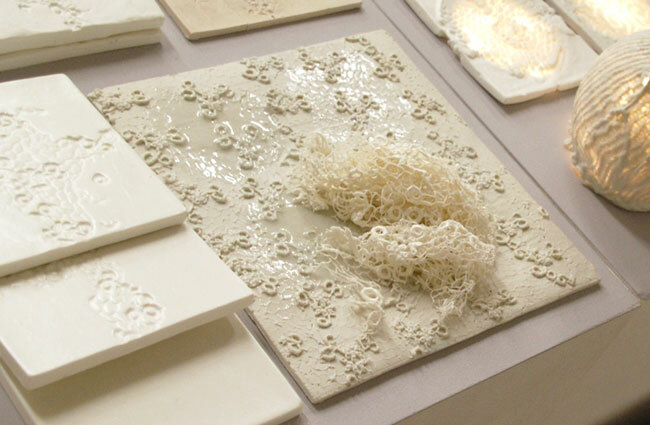 Studio Barbara Vos can create your own unique, personalized tiles. Custom designed tiles can be made by providing your own fabric or a special fabric can be made. 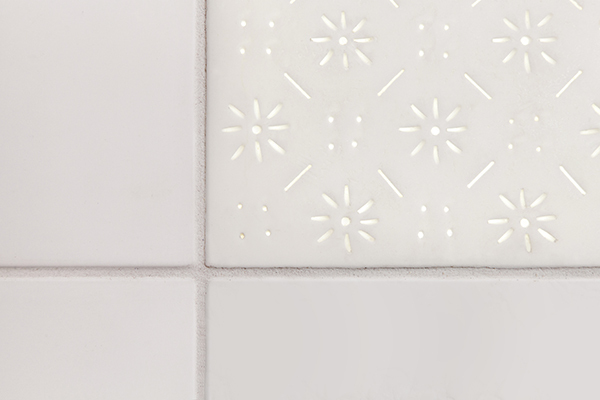 Tex-tiles have endless possibilities. Studio Barbara Vos can create your own unique, personalized tiles, fitted to the style of your company building or environment of your house. It is a handmade product, which can be designed to match the look & feel you have envisioned. 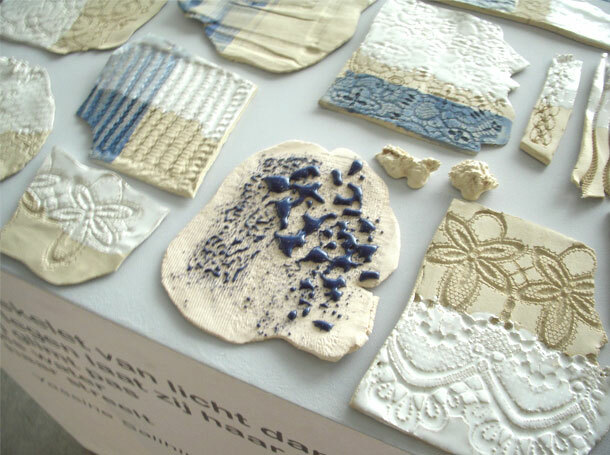 Custom designed tiles can be made by providing your own fabric, by choosing a fabric from the samples provided or a special fabric can be made on the specialized embroidery machines of Studio Barbara Vos. 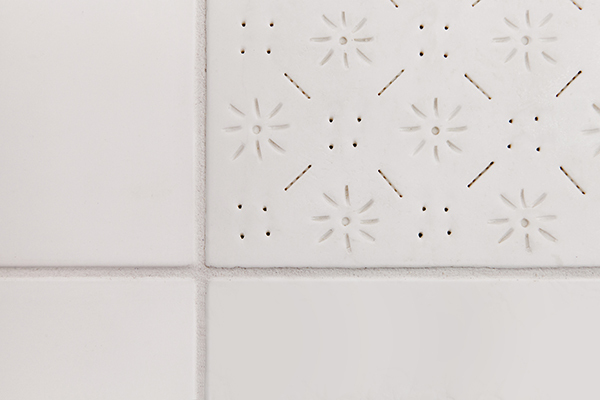 A translation of the brand or family name in the tiles is one of many possibilities. There is also the possibility to vary with the LED-lighting behind the tiling. Or one can vary with glazed and unglazed tiles, pigments, sizes, etc. 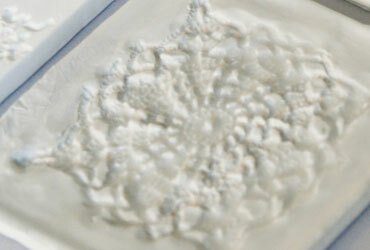 Curious for more information about the possibilities of custom designed tex-tiles?